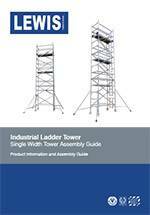 Lewis product scaffolding tower instruction manuals provide complete information on the operation of Lewis products. ScaffoldTowers.com offers replacement instruction manuals for most our products as free downloads. Soft-bound printed copies are also available for some products.